Hi everyone! I am finally back from a long vacation [not really a vacation, lol]. I have been active on Instagram though. 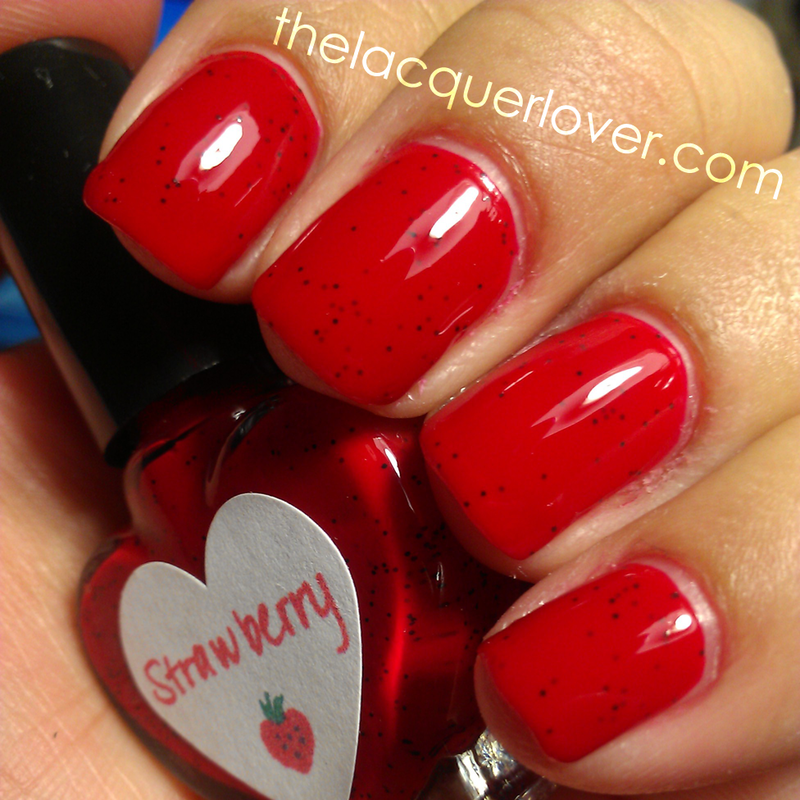 Make sure you follow me @thelacquerlover. Hopefully this time I will be more active with posting on my blog. I’m also excited that I now have my own domain! Short intro, now onto today’s post. 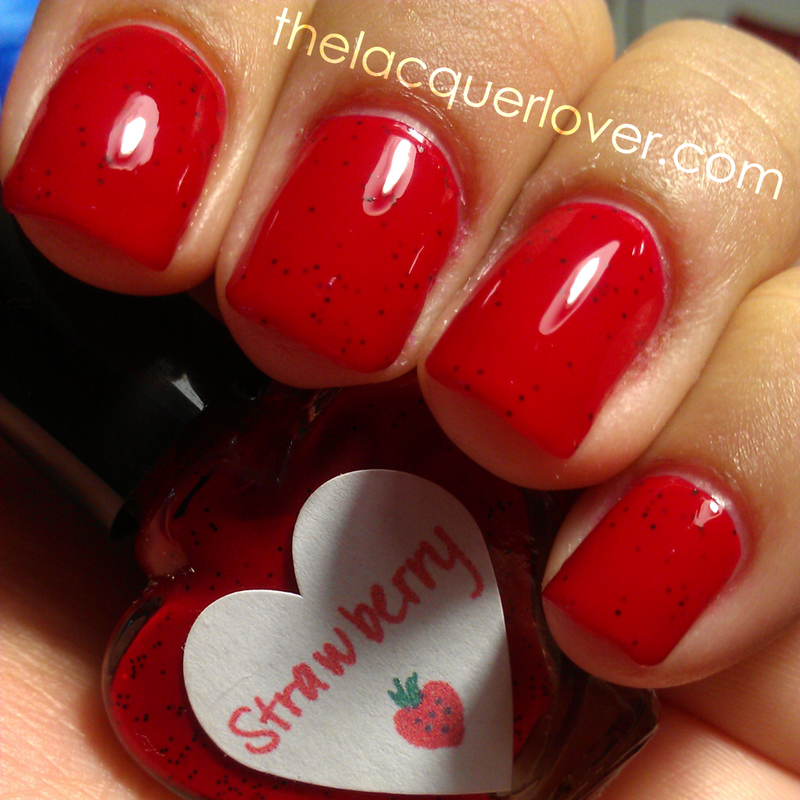 Today’s post is featuring a polish from one of my top three indie polish brands, The Hungry Asian Strawberry! 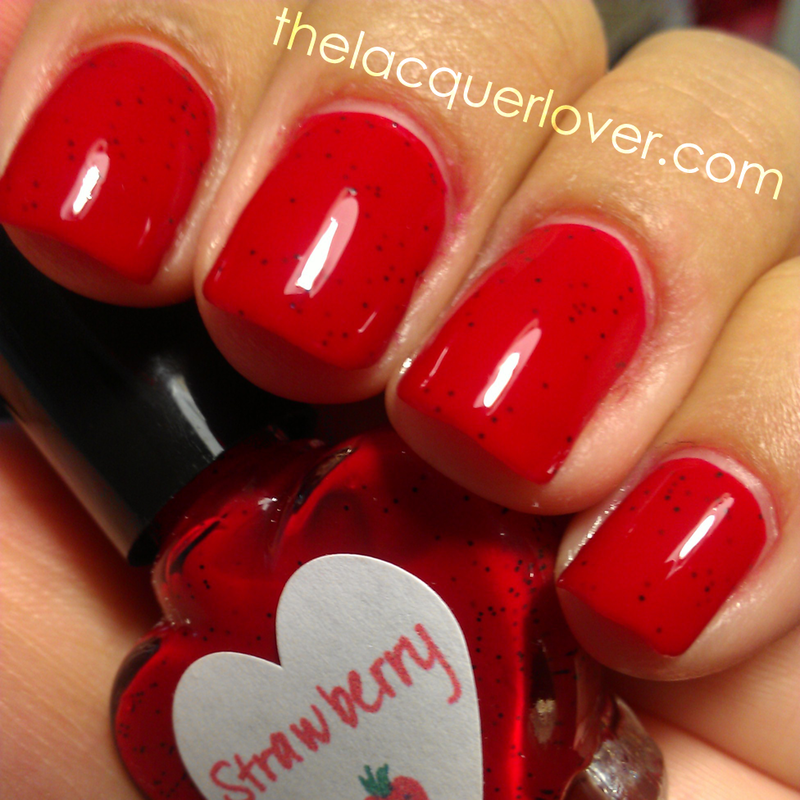 Strawberry is a red creme, sort of jelly formula, with black specks throughout the polish that actually makes it look like a delicious Strawberry. The application was great. 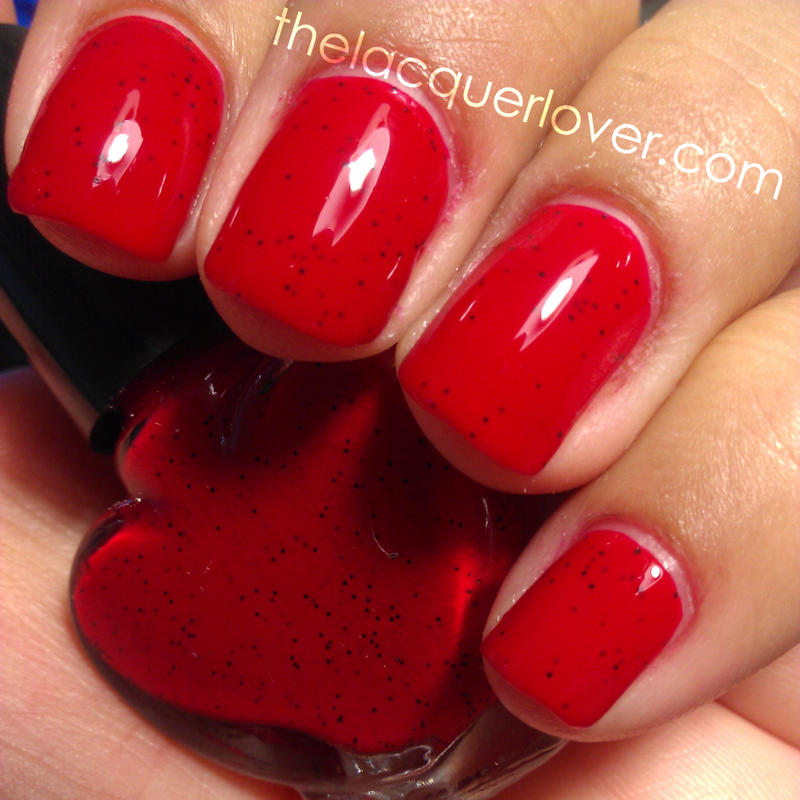 The swatch above and the following are just 2 coats. Hope you all liked this post. Thanks for stopping by! If you have any questions, comments or concerns, you can ask below in a comment, or by using any of the resources found in the Contact Me page at the top of my blog. Don’t forget to follow by email or Bloglovin! This entry was posted in Indies, The Hungry Asian and tagged Indies, Red, The Hungry Asian. Bookmark the permalink. good lord, this is gorgeous! i’m instantly in love and will have to be careful browsing her shop lol. It is! I’m dying over her Spring collection!